Stay at a unique Aboriginal owned wilderness retreat at spectacular Cape Leveque for 3 nights, plus a 4 night stay in Broome with a town tour and Cable Beach camel ride. Stay with the beautiful Bardi Jawi people at the award-winning and low-impact Kooljaman accommodation with an amazing set of optional activities at Cape Leveque and the Dampier Peninsula. This a truly unique place to experience and is surrounded by a diversity of natural wonders, the amazing wildlife, vast array of marine life and the stunning coastline. Kooljaman is designed to capture the rugged character and beauty of these ancient lands. The Communities have developed Kooljaman in line with their aspirations and their inherent traditional knowledge of the land. Broome is a lively and cosmopolitan town located in the beautiful Kimberley region of Western Australia, the town has a rich pearling history that can be explored at the fascinating Pearl Luggers attraction, a must do here is the sunset camel ride along sensational Cable Beach, other attractions include the Japanese Cemetery, Chinatown and Matso's Brewery. Discover Broome on your half day coach tour around the township. Visit Chinatown, the Cygnet Bay Pearl Farm and Matso’s Brewery. Spend time at the Japanese Cemetery and examine dinosaur footprints at Gantheaume Point before heading to Cable Beach for a famous camel ride along the beach. 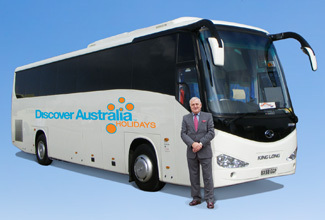 Luxury Coach Tour with Hotel Pick Up, Cable Beach Camel Ride, Overnight Broome Accommodation. Broome is a vibrant and cosmopolitan town with a proud pearling history, the town is blessed with a fantastic climate and an abundance of stunning natural beauty, a visit to the Japanese Cemetery where perished Japanese pearl divers are interred brings home the human cost of Broome's colourful pearling history, other attractions include Cable Beach, Matso's Brewery and bustling Chinatown. Spend a day exploring Broome at your own leisure. The Cape Leveque Postie (Mail) Run is an adventure with a difference, a quirky and unconventional insight into day-to-day lives, culture and history of the Dampier Peninsula communities, hear interesting stories of the colourful people and region from Doug the Postie and immerse yourself in a cultural tour complete with billy tea and damper. Join Doug the Postie today on your unique transfer to Cape Leveque. Visit One Arm Point Community and partake in a cultural tour with billy tea, damper, fresh fruit and muffins (payable to your driver). Stop at One Arm Point for an hour before travelling to Cygnet Bay on your way to Kooljaman at Cape Leveque. Transfer to Cape Leveque, Overnight Cape Leveque Accommodation. Cape Leveque is a wonderland of pristine natural beauty famed for its isolated and beautiful beaches, this remote peninsula in the far north of Western Australia's vast Kimberley region is a true wilderness region only accessible with a 4WD, attractions include indigenous cultural tours, mud-crabbing and fishing. Spend the day exploring Cape Leveque. Enjoy one of the many activities at Kooljaman at Cape Leveque such as seasonal whale watching, a fishing charter, a sunset cruise or swimming and snorkelling in the turquoise waters that surround Kooljaman. Cape Leveque is situated 220 km north-west of Broome in Western Australia's vast and remote Kimberley region, this isolated peninsula is a wonderland of pristine natural beauty that includes white sand beaches and turquoise waters, the region is an adventurers paradise and highlights include indigenous cultural tours, mud-crabbing and spear fishing. Enjoy spending time at Cape Leveque and taking in the beautiful surrounds. During the dry season you can take a scenic flight over the Buccaneer Archipelago and Horizontal Falls. For something more relaxed, you can even take a self-guided walk around Kooljaman or join Bundy for a guided bush tucker tour around Kooljaman. Immerse yourself in the people, culture and history of the Dampier Peninsula communities on the quirky and unconventional Cape Leveque Postie (Mail) Run, this unusual adventure takes you to the remote communities and stunning landscapes of the Dampier Peninsula, Doug the Postie regales tales of the region's colourful people, culture and history in an unforgettable experience. Return transfer Cape Leveque to Broome, Overnight Broome Accommodation. Get picked up from your Broome hotel and transferred to Broome Airport for your flight home. 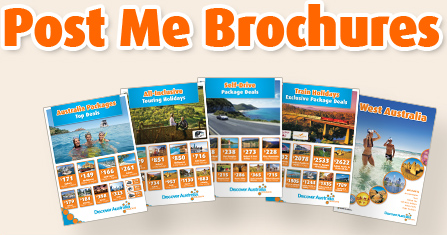 The Broome and Cape Leveque Stay <br> is very popular. Many dates book out well in advance, please book soon.